I just picked this up. I like it because of the two trunks. I know this is not traditional, but I think it is a cool tree. I am thinking about repotting it as soon as I receive my shipment of coarse soil. Ideas anyone? 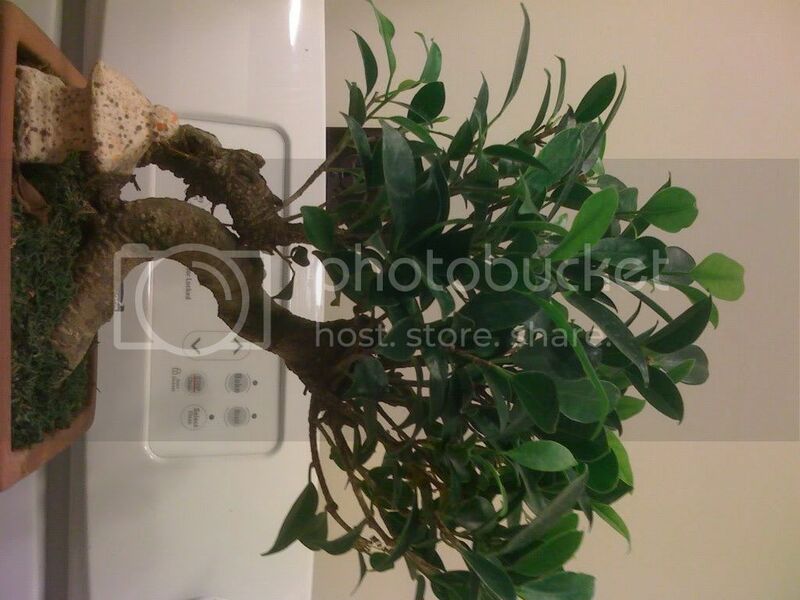 I am pretty sure it is a Ficus Retusa, but the leaves are thinner than my last one was. I can't offer a positive ID but perhaps if you explore Jerry's site you will find a clue. Here is a page with many pictures. Make sure to check out the rest of the site.